If you think about it, it was an inspired tweet that Donny Osmond posted on Twitter after Sunday’s sessions of General Conference. Is it just me, or does #LDSConf just keep getting better and better? 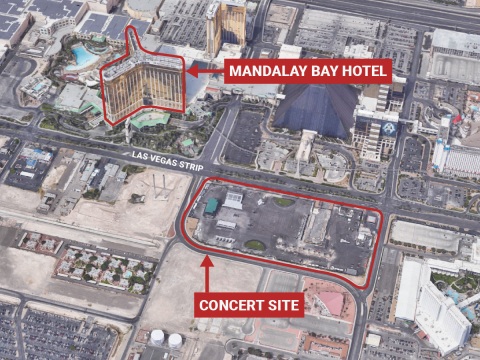 That very night on October 1, 2017, Las Vegas experienced a terrible tragedy as a gunman shot from the 32nd floor of a hotel across the street from a country music concert. This comes at the cost of 58 lives and about 500 injured, and thousands of family members affected by the immeasurable losses from that day—a day of fear, pain, shock, death, sorrow, worry, confusion and heartbreak. The victims of the shooting now continue life and make an effort to live as happily as they did before. It can seem impossible after something so devastating, certainly life-changing. How do you erase the memory of 10 straight minutes of gunfire, especially when moments before you were listening to Jason Aldean playing his guitar, singling a perfectly pleasant song? And now the 22,000 people present have become part of U.S. history’s deadliest shooting. Many government officials now feel the need to unite and act so that history like this does not repeat itself, so that this country’s people can feel safer and not worry about innocent life being taken so casually—as if human life is worth no more than a falling leaf from autumn trees. And what about us? What do we do? Besides donating blood or making phone calls to check in and comfort and listen, besides crying with those that mourn and comforting those that stand in need of comfort, there’s a lot we can do, and it starts with each of us individually. Perhaps “hard” seems a bit of an understatement in situations like these, but I truly believe what Elder Ellis claims. Hard things—challenges, trials, tragedies, loss, sacrifice, illness, desperation, stress—force us to place our trust in the Lord and show Him that we believe He will keep all of His promises. And if we endure it well, “all these things shall give thee experience, and shall be for thy good” (D&C 122:7). So ask yourself: Do I trust God? Do I understand that this is part of His Plan of Happiness? Do I have enough faith to stand fearless and proclaim that I am a child of a loving Father in heaven? Do I believe that He is in control, that He loves and protects all of His children? If the answer is “no,” then get on your knees and pray. Open your scriptures and ask Him to help you trust Him. Go forward with faith. Pray for His children, and know that He is the Omnipotent God of heaven and earth, and that He is our Eternal, Loving Father.